Photos from Tom Davis, digital enhancement by Jock Dempsey. 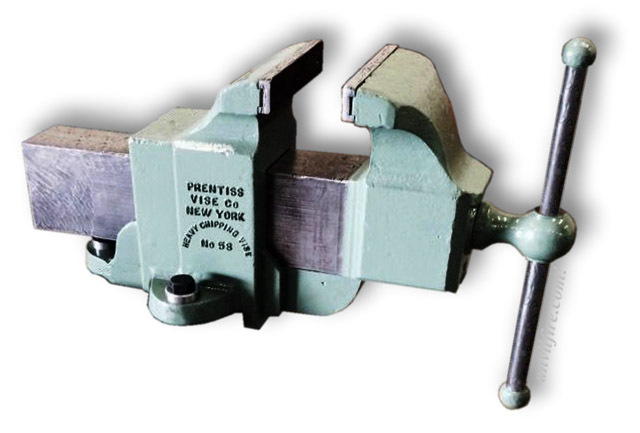 In 1868 Mason Prentiss was issued a patent for his swivel jaw vise. Shortly afterwards he started manufacturing vises or having vises manufactured to his specifications in Watertown, NY. 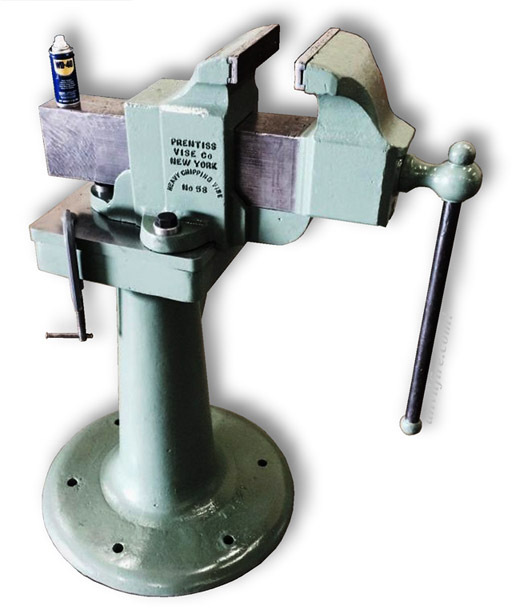 Over the years he was issued more vise patents and changed manufacturers. In 1948 the company stopped production and was then bought by Chas. Parker Vise Co. who continued production in the 1950's.